G-Power is at it again, this time updating the Typhoon kit for the BMW X5 with the xDrive48i model. This car comes powered by a 4.8-liter V8 powerplant, and has received the SK III supercharger system to boost the figures. After the BMW X5 tuning was completed, the car now produces a stunning 525 horsepower and 600 newton meters of torque. At the track it can sprint from 0 to 100 km/h in just 4.7 seconds while reaching an overall top speed of 275 km/h. The most powerful SUV has arrived: G-Power turned a BMW X5 into a Typhoon with 525 HP and an incredible muscular design. The car is equipped with with a V8 engine that could take this vehicle to a top speed of 275 km/h, setting new standards for SUVs in its class. G-Power made a striking body kit which consists of new fender flares and aprons designed for maximum aerodynamic efficiency developed by the G-Power designers using the latest CAD technologies. All body kit elements were made from PUR-R-Rim plastics in OEM quality. The curved fender flares on front and rear and add seven centimeters to this X5’s width and will also create necessary space for extra-wide wheels and tires. The largest version of this car features G-Power Silverstone Forged Edition wheels sized 11Jx23″ on the front axle and 12Jx23″ on the rear axle. These wheels were custom made for this car and come with high performance tires sized 315/25 ZR23 from Michelin. One of the best companies when it comes to modify a BMW is AC Schnitzer. 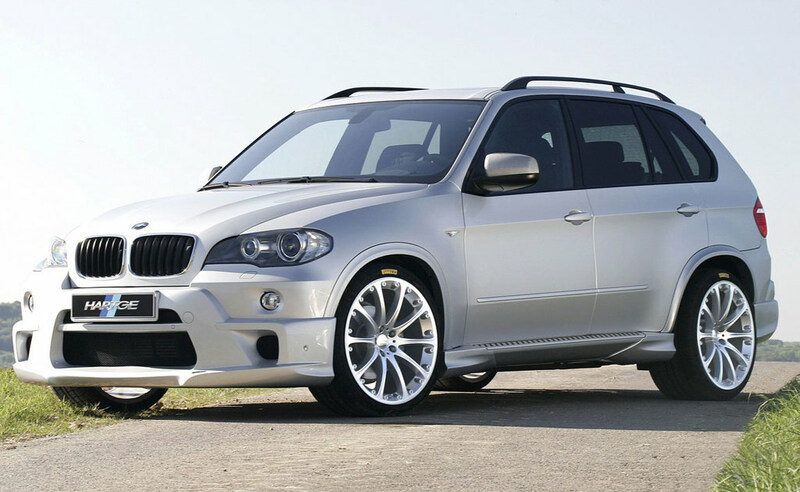 They recently created a wide body kit for the BMW X5. The tuning kit is called Falcon and it’s made up of new front and rear bumpers, wide skirts with chrome insertions and large vents on the car’s hood to cool down the powerful BMW X5 engine. The suspension is a bit lower now and the new exhaust system and 22″ rims complete this car’s aggressive look. Since the car looks a lot sportier after the tuning, they decided to improve it’s performances as well, so the car’s 3.0L engine receive a slight power boost. AC Schnitzer increased it’s power from 286 HP to 310 HP.